The high-quality galvanic coating as well as the slide grinding or barrel finishing of your products is our utmost goal. Modern test equipment, comprehensive documentation as well as qualified specialist personnel support our objective. 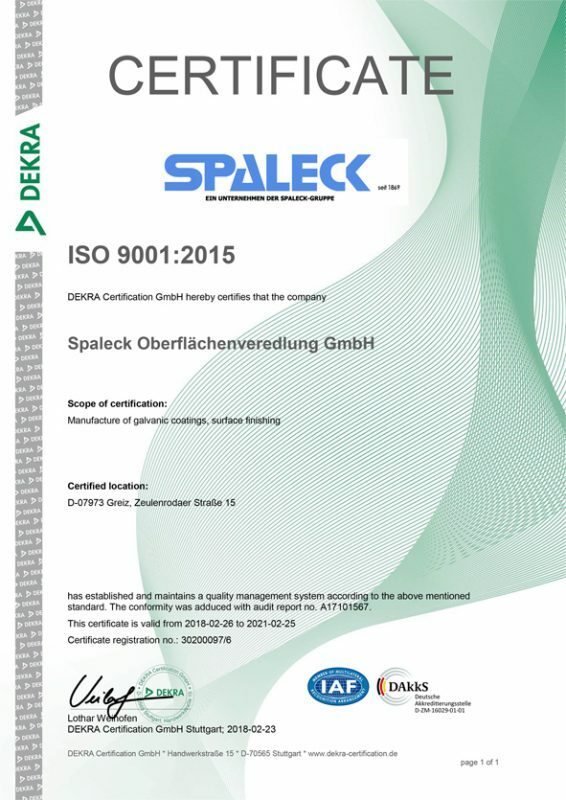 In 1999 we introduced our company-specific quality management system – SPALECK-Management-System (SMS) and certified in accordance with DIN EN ISO 9001. In our chemical laboratory with modern equipment, all processing parameters are monitored constantly. We carry out roughness, layer thickness and corrosion protection tests in accordance with current standards (e.g. 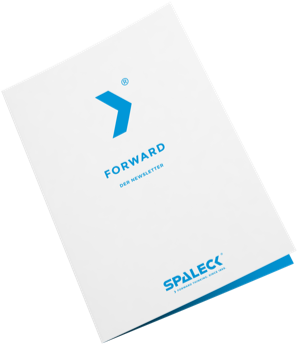 DIN EN ISO 9227) or your specifications. The environment is important to us. A modern and mature rinsing technology such as rinsing bath, cascade rinsing and spray rinsing ensure for low waste water quantities combined with an optimum rinsing result. Recirculation of the rinsing water reduces the amount of waste water. The remaining waste water content is treated in our automatic waste water treatment plant according to the most modern technological point of view, and are monitored continuously.